Russia is arguably the home of ballet. Some of the world’s greatest stars, past and present have trained there and they are renowned for their gymnastic flexibility and dynamic technique. Russian ballet schools and companies are infamously difficult to get into and are incredibly demanding on the body and psyche. Add into that the volatile state of the arts and politics in Russia and you’ve got dancers who are willing to do anything to get to the top and stay there. When news of an acid attack against The Bolshoi Ballet’s Artistic Director spread on January 17 this year, the dance world was stunned. Most shocking of all was that it wasn’t a random act of violence, but a calculated attack by a disgruntled theatre employee who was unhappy with the state of play at The Bolshoi Ballet. Ballet has previously only ever dipped its toes into political matters, mainly when a dancer wished to defect from a country, as Li Cunxin famously did from China, but now the art form is knee deep in the political battles of a theatre in crisis. Prior to the incident on January 17, The Bolshoi’s Artistic Director, Sergei Filin had been feeling under threat for some time, noting that his phones had been blocked, his car tyres slashed and his internet hacked, all of which he believed was a warning. It has been suggested that Dmitrichenko was upset over Filin’s refusal to cast his girlfriend in a lead role. However, Filin’s lawyer has said that the group of people involved in the attack is much larger than the two men charged by police. Accusations and theories abound, with The Bolshoi’s general director, Anatoly Iksanov, accusing principal dancer Nikolai Tsiskaridze of inspiring the attack. Filin’s appointment as Artistic Director has exposed the infighting at The Bolshoi Ballet, with many dancers resisting his attempts to bring more modern repertoire to the company. He held an enormous amount of power, deciding matters of scheduling, casting, promotion and salary. In addition to the acid attack against Filin, The Bolshoi’s reputation has further been harmed by the recent revelations of former company dancer Anastasia Volochkova who claimed that it was a “giant brothel” with dancers forced to sleep with oligarchs and other influential members of society. In a further twist to the tale, hundreds of dancers have sent a signed letter to Russian President Vladimir Putin demanding an investigation into Dmitrichenko’s confession. Filin himself believes that Dmitrichenko was party to something much greater than what has so far been uncovered and that the true mastermind is yet to be caught. Clearly he is not alone in his assertions. Where does all of this leave ballet in Russia? Does this spell the end of the Bolshoi? 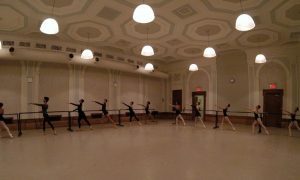 Ballet in Russia is part of the cultural landscape and a benchmark for dancers around the world. But the Bolshoi as a whole is devoid of a cohesive corps de ballet and is populated by gymnastic lead dancers who lack any great artistry on stage. Many of the best dancers are leaving Russia to dance in the United States and Europe and the company’s stars such as Svetlana Zakharova have been poached from The Mariinsky Theatre. 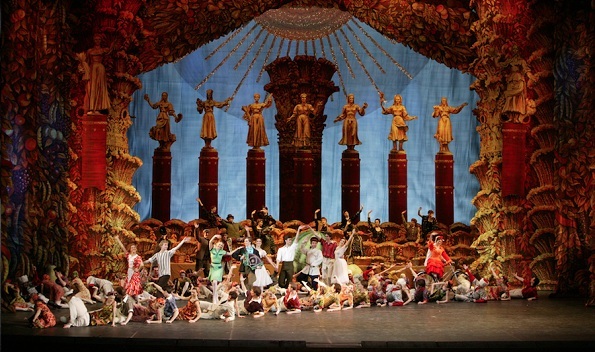 The current scandals within The Bolshoi may affect the way the rest of the world perceives the company. Yet while the acid attack was shocking and the allegations of forced sexual activities are appalling, these things are apparently the norm in Russia and the locals are accustomed to such events. The Bolshoi has fallen a long way since its golden age in the 1960s but it continues to create some of the world’s best dancers, firstly through the ballet school and then the company. Despite this, The Bolshoi itself isn’t guaranteed to last the test of time. The infighting that not only lead to the acid attack but the ensuing conflict amongst dancers and administrative staff, in addition to the current lack of direction for the company, doesn’t suggest much hope remains for a once great company. Photo (top): Photo: The Bolshoi Ballet performing The Bright Stream. Photo courtesy of Queensland Performing Arts Centre (QPAC) and The Bolshoi Ballet.